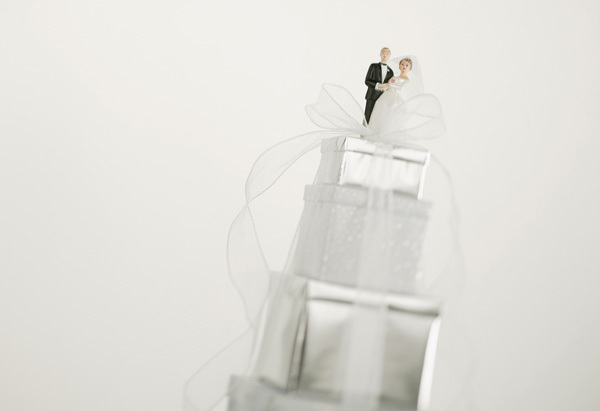 While many newly engaged couples look for items within a certain price range to add to their registry, some opt to add a few extravagant and expensive items to the mix. There’s no guarantee that someone will buy these items as a gift due to their price. If you choose Macy’s to create your bridal registry, there several over-the-top gifts you can choose from. 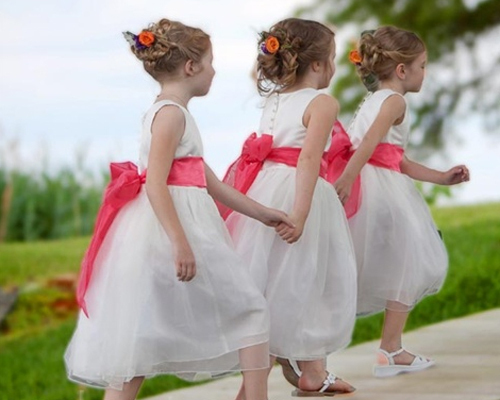 Some couples like to add these outrageously expensive items to their registry just to see if there is a slight chance they might actually get the item as a gift. However, if you find you end up with one of these gifts and don’t like what you got then you can always take it back and exchange it for something more practical. 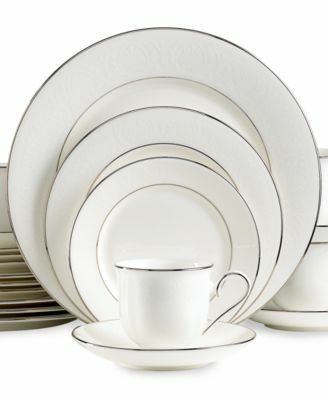 While you can register for a simple and pretty pattern, or even plain white china, take a look at some of the expensive fine china options Macy’s has to offer. High-end china starts at around $250 per place setting (dinner plate, salad plate, bread and butter plate, teacup, and saucer). Many of these china pieces are inlaid with gold trim or gold bands on the surface of the plate. While regular stainless steel flatware is great for everyday use, nothing beats putting out the silver (the real silver) for company. Add a set of sterling silver flatware to your registry. The price tag for a 5-piece setting starts around $1,200. 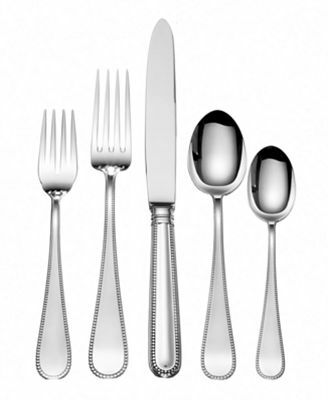 For a full 66-piece set, prices range from $7,600 to over $18,000. 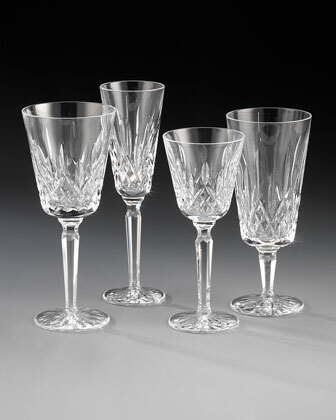 The name Waterford is synonymous with fine crystal that lasts a lifetime. Waterford serveware is no exception. 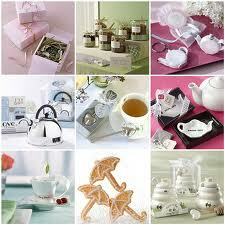 These pieces are intended to be used for parties or on display in your china cabinet. 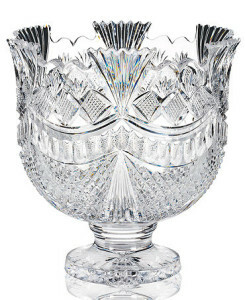 From punch bowls to heirloom bowls, and colored specialty glassware, Waterford offers a variety of high-end items. Many of these pieces start at around $3,000 for an individual piece or a complete set. Glasses and stemware by Waterford comes in exquisite crystal etched with beautiful patterns. These pieces are a great addition to your new home for celebrating with a fine wine or glass of bubbly. Glass and stemware pieces are available in a variety of colors and sizes. Most sets start around $400 and up. Sure you may think that $40 blender you registered for will do the trick and blend all of your drinks harmoniously, but you haven’t tried a high-end blender yet. Add one of these super fast, high-powered professional blenders to your registry. 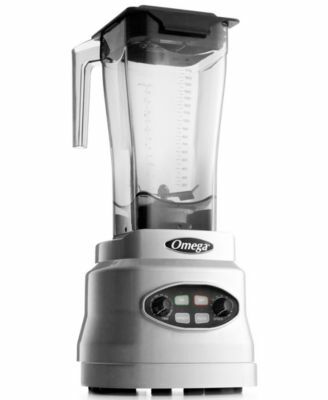 Brands like Omega and Vitamix offer a consistent and evenly mixed liquid each time they are used. 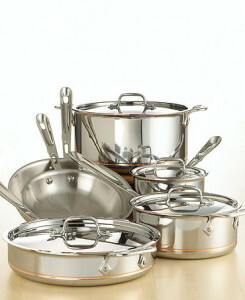 Using copper core cookware makes a huge difference in the way your food is cooked on the stove. Most copper plated cookware is combined with stainless steel to create an enhanced heat distribution, high-quality pot or pan. These high-quality sets start at around $300 and up. Rather than spending money each day on going out for a cup of espresso, consider adding an espresso maker to your registry so you can make the perfect cup each and every time. 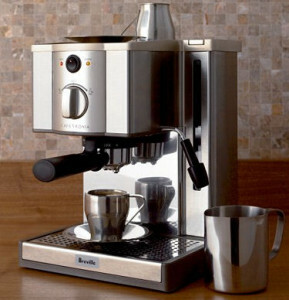 High-end espresso makers start at around $800 and can be as expensive as $7,000. Some espresso makers also include the ability to grind your own beans. High-end vacuum cleaners not only clean better, they hardly ever lose suction. Brands like Dyson and Sebo offer vacuum cleaners that are bagless and able remove dust and dirt with one passover. 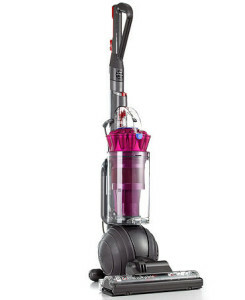 Unfortunately, these vacuums don’t come cheap with prices starting at around $700 and up. There is something about the feel of a real down comforter when you want to be warm and cozy in bed with your spouse. Natural down comforters are made with duck -down-fill and sewn in either heavy-weight or medium weight options. 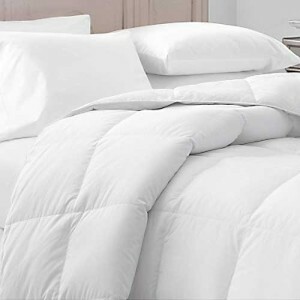 Down comforters start at around $600 and prices only go up. 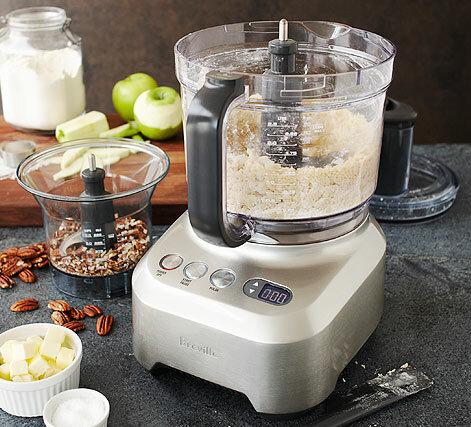 While lower-end food processors will get the job done chopping and pulsating a variety of foods, more expensive food processors are a whole other story. These power packed kitchen appliances do not require that you cut up foods before placing them into the machine. Most come with whole food shoots and a several different types of interchangeable blades. 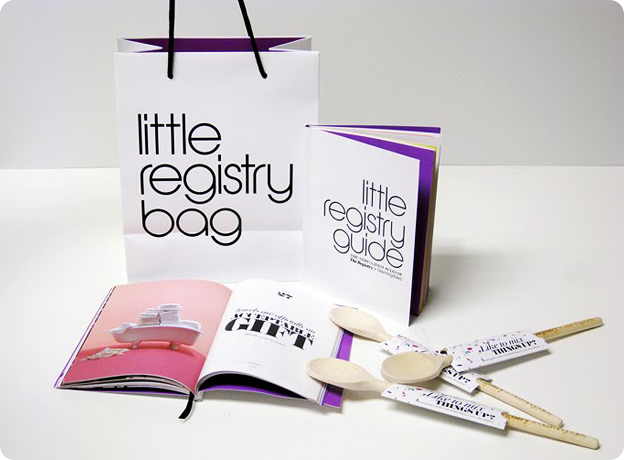 Have a little fun and add any one of these items to your registry. You might just be surprised when you unwrap that box and one of these items appears.